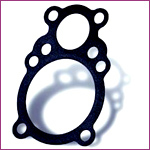 We provide wide range for thermostat gaskets. These are known for there thermostatic capabilities and have sturdy design. These are available at market leading prices. 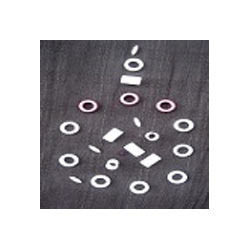 An O-ring/thermostat, also known as a packing, or a toric joint, is a mechanical gasket in the shape of a torus or it is a loop of elastomer with a disc-shaped cross-section, designed to be seated in a groove and compressed during assembly between two or more parts, creating a seal at the interface.